Romantic Relationships: What’s self-esteem got to do with it? When seeking a romantic relationship, we are often encouraged to focus on what we’re looking for in a partner. Do they need to be funny? Kind? Tall? Smart? Are we hoping they’re going to be older, younger, of similar or different backgrounds? Do they have similar life aspirations? Of course, it is helpful to use our values to guide whether we may connect well with a potential partner; however, this mindset often shines the light on the partner’s qualities or values, and shines the light away from what we bring into a relationship. We each not only bring our own special quirks, we also bring in more significant characteristics like our core beliefs (see Maeve’s blog), attachment styles (see Simcha’s blog), and self-esteem. 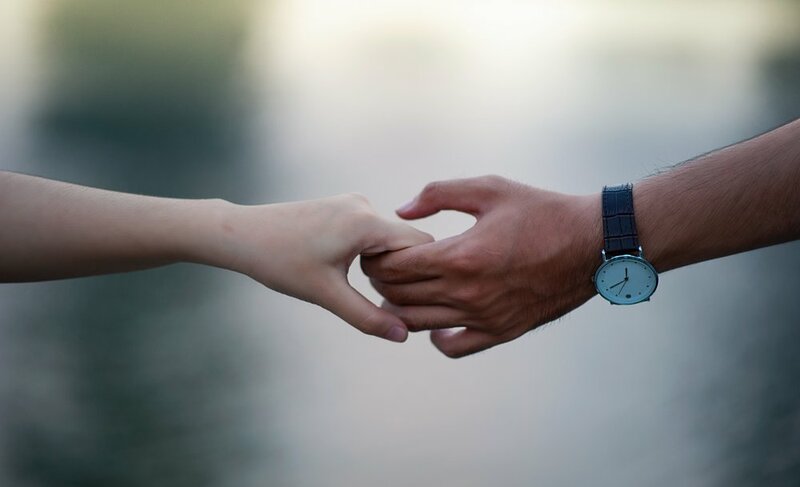 All of these can relate to how we perceive and experience our relationships, and thus it is crucial that we better understand how these impact our view of our partner and relationship in order to make choices that best serve our well-being. Max, who has high self-esteem, begins dating another individual. Max soon begins to feel that his new partner does not prioritize his needs or make efforts to connect with him, so he may choose to not continue in the relationship because he recognizes his own self-worth and understand that this new partner is not valuing him appropriately. Olivia, who has lower self-esteem, begins dating someone who does not make time for her or consider her thoughts and feelings. Olivia, however, assumes that she is the problem, that she is not ‘good enough’ and that it makes sense that her new partner is not valuing her as a result. Olivia then chooses to stay in the relationship even though her partner is not behaving in a way that indicates a healthy long term relationship. Olivia, who has lower self-esteem, begins a relationship with someone who treats her well. At first, she finds this experience positive and enjoyable. However, as time goes on, she begins to grow concerned that there must be something wrong with her partner if they are interested in her. She doubts that she would interest someone who is kind and respectful. So, she begins to look for flaws in her partner and their relationship in order to make sense of the situation. This tendency puts strain on the relationship, creating distance and disconnection in an otherwise healthy and respectful relationship. Example 4: Max, with high self-esteem, finds himself in a positive and caring relationship. He trusts that this makes sense and is in line with what he deserves, and thus he is able to allow himself to enjoy the relationship and be vulnerable with his new partner. As you can see, our self-esteem can serve as the lens through which we view our partner. When we struggle with low self-esteem, we may be more likely to seek relationships that do not promote mutual respect and care. We may also be likely to reject relationships that are in fact healthy (Murray et al., 2001)! So, what can we do about this dynamic? Step 1: Notice the lens! In order to make a change, we must first notice that we are projecting our own self-worth onto how we see the relationship. Once we do that, we can then begin to figure out what we can do differently to take care of our needs rather than settle in or change the relationship. Step 2: Work to improve self-esteem. Tobey Mandel is a clinical psychologist in Westmount, Montreal, Quebec, at Connecte Montreal Psychology Group. The team at Connecte loves writing about ways to boost our mental health and bring psychology into our everyday lives. For more helpful tips, check out Connecte’s blogs, podcast, follow @connectepsychology on Instagram or like us on Facebook. Sciangula, A. & Morry, M. M. (2009). Self-esteem and perceived regard: How I see myself affects my relationship satisfaction. The Journal of Social Psychology, 149, 143-159. Erol, Y. & Orth, U. (2013). Actor and partner effects of self-esteem on relationship satisfaction and the mediating role of secure attachment between the partners. Journal of Research in Personality, 47, 26-35. Orth, U., Robins, R. W., & Widaman, K. F. (2012). Life-span development of selfesteem and its effects on important life outcomes. Journal of Personality and Social Psychology, 102, 1271–1288. Murray, S. L, Holmes, J. G., Griffin, D. W., …, Rose, P. (2001). The mismeasure of love: How self-doubt contaminates relationship beliefs. Personality and Social Psychology Bulletin, 27, 423-436. Schiraldi, G. R. (2016). The Self-Esteem Workbook: 2nd Edition. New Harbinger Publications. Who do you turn to when you’re going through a challenge or difficult time? What do your conversations sound like? Do you know what you actually find helpful? And can you spot the difference between helping and hindering? Research has shown time and time again just how important it is for us to feel socially connected to and supported by the people around us. In fact, what matters more than the number of friends we have, or even how realistic their advice may be, is that we feel as though we are supported. That is, that we are satisfied with our perception of the input or encouragement we receive. Yet not all forms of support are created equal. And sometimes, the line between helping and hindering can be blurred, especially when conversations veer towards venting. As comforting as it may be to have someone to turn to when we need to vent or debrief, it can be a slippery slope towards co-rumination. It’s possible you’ve never come across the idea of co-rumination, but chances are you’re familiar with rumination. When going through a difficult time, it’s not uncommon to repeatedly mull over events that took place (as well as those that have yet to happen) and the things that were said (or not said). Sometimes this process can be helpful—it’s a way of thinking things through, weighing our options, and figuring out new, creative solutions. But it can also make us feel stuck and be less inclined to actually do anything constructive about the situation and our associated distress. The deeper we are in a cycle of rumination, the harder it can be to recognize it’s happening and dig our way out. This process can be even more difficult to spot when it happens in the context of our closest relationships. Co-rumination involves repeatedly discussing and rehashing our problems and difficult feelings with someone else without coming up with a solution or resolution. The issue is, talking with a friend, partner, or family member about our problems can feel really good. It can make us feel supported, bring us closer together, and even trick us into believing we are doing something productive about our situation. In the long run, however, it can hold us back from moving forward and actually lead to symptoms of anxiety and depression. How can you spot co-rumination? Have I/we spoken about this before? Am I speculating about things that have yet to happen? Do I have any new information that I haven’t shared or discussed? With time, it helps to become mindful about your own patterns as well as those that tend to develop within friendships. We each have our own sensitivities, vulnerabilities, and strengths. Certain topics are likely to get us going and specific people may just be easier to open up to. Take a closer look at your behavior and learn your own triggers—this can help you spot co-rumination if or when it starts to unfold. Are there certain topics you tend to ruminate about (e.g., work, romantic relationships, family problems, financial worries, health concerns)? Are you more likely to co-ruminate in certain settings (e.g., when chatting at home or on the phone, after a long day at work, after you’ve had a drink or two)? Are there certain people or friends you tend to co-ruminate with? Even when we know the signs to look out for, it can still be difficult to catch ourselves in the act. That’s why it helps to recruit the people closest to us, especially those with whom we have a tendency to co-ruminate. Remind your friend or partner that you will always be there to listen to and support them, and that you appreciate all they have done for you. Let them know that you’ve noticed your tendency to co-ruminate together and ask them to gently point it out when they feel you’re veering towards rumination. These kinds of discussions also give you the chance to have a bigger conversation about the kinds of support you might find helpful and how you can be a better or more supportive friend or partner in return. How can you move from co-rumination to collaboration? Often, simply becoming more aware of our behaviors and patterns can be enough to help us move from co-rumination to actual solution. The more you focus on recognizing co-rumination as it happens, the easier it’ll be to shift towards a problem-solving approach. Just make sure to be compassionate, both towards yourself and your friend or partner, when you do catch yourself in the act. Instead of judging yourself or being overly self-critical, treat it like a game and give yourself a pat on the back for getting so good at recognizing the difference between venting or ruminating and problem solving. There’s usually a good reason why we do the things we do, even if our behaviors might seem illogical or even destructive from the outside looking in. That’s why it helps to validate why you may be tempted to co-ruminate, whether it’s to process difficult emotions or to feel that sense of closeness in your relationship. These benefits, however, do not take away from the reality that in the long run, co-rumination isn’t actually all that helpful for our sense of well-being or even the problem itself. Longer term, co-rumination can lead to anxiety and depression or exacerbate symptoms if we're already struggling. It also has the potential to drive certain people away, especially when a relationship is unbalanced and conversations tend to be overly focused on one person’s difficulties or life. Having a clear understanding of the reasons why you are working towards change is an important step in actually being able to do so. Ask yourself if there is something you can do to change or improve the situation right now. Can you actually do something to resolve the problem in some small way? Perhaps it involves having a frank discussion with a colleague to clear up a misunderstanding. Or maybe it’s apologizing for something you wished you hadn’t said to a partner in the heat of an argument. Often, taking a step towards actually doing something about the problem you’re facing can be much more helpful than venting, not to mention empowering. Of course, there are times when there will be little you can do to change your current situation or circumstances. In these cases, it can be helpful to reflect on what you would like to do differently in the future to prevent similar situations from happening or to cope with them when they do arise. Trying to minimize your tendency to co-ruminate without coming up with other more constructive ways of coping will likely leave you feeling overwhelmed and even lonely. That’s why it’s equally important to find new ways to cope with whatever problem you are facing. Develop a sustainable self-care routine, work through the pros and cons of possible solutions, and turn to healthy distractions when all else fails. And don’t lose sight of how important it is to find new ways to feel connected in your relationships. Focus on having meaningful discussions, try a new activity together, share your dreams or team up to tackle a shared goal. Above all, work together to establish new ways to better support each other through the ups and downs that life inevitably throws your way. With all that said, there will still be times when all you really need is just the space to open up to a friend and let off some steam. Venting isn’t always counterproductive. It becomes an issue when it happens repeatedly, especially at the expense of other more constructive approaches. If you need to vent or support a friend who is doing so, go ahead! Just make sure you’re aware of how much space this is taking up in your conversations and relationship. If need be, work together to set limits so that your interactions aren’t entirely dominated by co-rumination. Finding a healthy balance will make your conversations that much more helpful and supportive, both in the immediate and longer term. The original version of this post appeared on Miriam Kirmayer’s blog with Psychology Today, Casual to Close. Learn more about Miriam’s work on friendship here. Miriam Kirmayer is a PhD Candidate in the Clinical Psychology program at McGill University in Montreal, Quebec, and a therapist at Connecte Montreal Psychology Group. The team at Connecte loves writing about ways to boost our mental health and bring psychology into our everyday lives. For more helpful tips, check out Connecte’s blogs, podcast, follow @connectepsychology on Instagram or like us on Facebook. Rose, A. J. (2002). Co–rumination in the friendships of girls and boys. Child development, 73(6), 1830-1843. Calmes, C. A., & Roberts, J. E. (2008). Rumination in interpersonal relationships: Does co-rumination explain gender differences in emotional distress and relationship satisfaction among college students?. Cognitive Therapy and Research, 32(4), 577-590. Rose, A. J., Carlson, W., & Waller, E. M. (2007). Prospective associations of co-rumination with friendship and emotional adjustment: considering the socioemotional trade-offs of co-rumination. Developmental psychology, 43(4), 1019. Waller, E. M., & Rose, A. J. (2010). Adjustment trade-offs of co-rumination in mother–adolescent relationships. Journal of Adolescence, 33(3), 487-497. Over the weekend, I took a quick look at my schedule for the upcoming week. My immediate thought was “What was I thinking?!”. Ideally, I have a mix of work, some social activities, and some personal time each week. But more and more often, I’ve been noticing that my upcoming weeks seem to be triggering more feelings of overwhelm in me as opposed to excitement! This realization has been especially bizarre because even if I’m busy at work, I really enjoy the work that I do. Similarly, even if I have several social outings, I love spending time with friends and family! So shouldn’t that be enough of a protective factor to avoid feeling stressed by a hectic schedule? Sadly, it seems that’s not the case (at least not for me). So, the issue with overcommittment isn’t that you’re doing things you necessarily dislike (although that can certainly be part of the issue), but it also happens when we forget that we are not, in fact, the Energizer Bunny. Worse still, overcommittment has been shown to contribute to higher levels of stress and physical tension (Preckel et al., 2005). So, how can we better manage ourselves to more regularly take a peak at our upcoming week and notice a feeling of interest, excitement, or perhaps even calm? Each of us have a different combination of interests and responsibilities. Consider this when you begin to figure out how to avoid feeling depleted by overcommitting yourself. What matters to you? Family, school, work, art class? Team sports? Reading? Do you have family that you’d like to see regularly or is it only over the holidays that you’d like to spend time together? Do you have a friend circle that you can see altogether or do you prefer to see friends individually? Consider these, and many other possible combinations, when looking at what you’d like to fit into your schedule. This step doesn’t have to happen each week, but begin by creating a schedule each week that considers your main interests and goals (see step 1) and plan it out so that those priorities are included, but so is time to just do your thing. Essentially, include several hours of non-scheduled, unstructured time into your week. This step has several benefits: 1) It helps you really reflect on how much time each activity you’re committing to takes, so that you’re more realistic in your goals, and 2) it helps to lessen the impression that “doing nothing” is bad! Free time is essential for our mind and bodies to rest, re-energize, and get in better touch with our creative and spontaneous side. With too much structure, we aren’t able to slow down enough to touch base with our passions, and our needs in the moment. In addition, creating a schedule gives you an opportunity to practice different levels of “busyness” – some weeks may be slower than others, or some may be focused on more social than work activities, or vice versa. By keeping track of these schedules and tracking how you feel at the start and end of each of these weeks, you’ll have some helpful data that lets you know what combinations work best for YOU! This part might be a little tougher. Often, if we find ourselves saying yes to everything requested or offered to us, there is an underlying reason that we may not be aware of. For some, it may be the belief that if we say no to a request, or don’t go out of our way to help someone else, we’re failing at being a good friend/partner/employee/etc. For others, overcommittment may stem from a fear of missing out on possible adventure, opportunities, financial gain, or connections. Whatever the reason, it may be helpful to ask yourself what need does overcommittment provide for you, or what does being overcommitted prevent you from feeling? Once you’re able to answer this, you’ll be better prepared to address those needs or fears in a more adaptive and sustainable way. As many of us know, it can be difficult to say no to an invite or a potential work commitment. We may feel guilty, or that we’ll be judged for not putting others first. Even though it can be hard, saying no is really the best way to ensure that we stick to our schedule that helps us meet our needs and goals without feeling overwhelmed. Plus, once you try it a few times, you’ll notice that people tend to respect when people set limits for themselves. The more we all do this, the more we normalize setting limits with our time and the more comfortable it becomes for everyone. So, next time you notice your schedule giving you mild heart palpitations, take a step back, run through these suggestions, and see how you feel. Hopefully you’ll be well on your way to a more balanced and enjoyable week! Preckel, D., von Kanel, R., Kudielka, B. M., & Fischer, J. E. (2005). Overcommitment to work is associated with vital exhaustion. Int Arch Occup Environ Health, 78, 117–122. Allan, I., Campbell, B., Carter, T., Doyle, M., Goodchild, S., Henderson, R., …., & Postans, L. (2006). Balance: Real life strategies for work/life balance. New South Wales, Australia. Sea Change Publishing. Breitman, P., & Hatch, C. (2000). How to say no without feeling guilty. New York, NY: Broadway Books. It’s not about proving to yourself that you can do it, it’s about figuring out how you can make it happen. 2. Know WHAT. Figure out what self-care is for you (not what someone tells you to do or what other people are doing). Find what truly nourishes you. (See part 2). 3. Figure out HOW. Find the formula or routine that will allow you to keep practicing self-care even when life wants to get in the way. We’ve discussed #1 and #2 in previous posts. So today I want to talk about the things that can help you make self-care sustainable (rather than a 1-week stint). 1. Find a daily connect to your WHYs. This is something that will remind you of what is important to you on a daily basis. This could be a daily prayer, night time reading ritual, morning meditation, a daily snuggle in the morning with your partner, anything that helps you see the big picture. Try making it something you like doing or already do so that it doesn’t take much effort. Mine is waking up earlier than everyone in the morning to have my “me time” before the day starts. If I don’t have that daily connect to myself it’s much harder to choose how I want my day to go. 2. Find your lead WHAT. Or your lead domino [as Tim Ferriss (1) might call it] or your keystone habit (as Charles Duhigg calls it in the Power of Habit (2). This is the habit that, if acted out, will make all of the others fall into place, or at least come easier. For example, many of my clients find that if they exercise in the morning they are more motivated at work and feel like eating healthier during the day, and in order to make the morning exercise happen they drink less alcohol in the evenings and go to bed earlier. So, they just have to get that morning exercise habit to happen and it has a self-care domino effect on the others. 3. Make an action plan and write it down. A lot of evidence suggests that writing down the what, where & when for a new habit will help you actually do it (3)! One thing that works for me is getting in my exercise by running or biking to work (or home from work). But, this takes a lot of planning because it means remembering a change of clothes at work, organizing with my husband drop offs or pick ups of the kids, etc. So if I sit down and plan out my week in advance I can decide which days I’m running to and from work & plan accordingly. Some other plans that help people get their exercise in are packing their gym bag the night before, or writing their exercise in their agenda. 4. Try temptation bundling (4). This is a term coined & researched by Katherine Milkman, Associate Professor of Operations, Information & Decisions at The University of Pennsylvania. She finds that if you bundle a hard to do behavior (like exercise) with an instantly rewarding behavior it can help you get motivated to do it. For example, you might decide to only watch your favorite TV shows at the gym (like she does) or reward yourself with a day off of work when you finally get your mammogram. 5. Try telling someone about your self-care habit or eliciting the help of a buddy. You can think of it as accountability, but I prefer to think of it as building self-care into your identity. “This is me and this is what I do to take care of me”. Keeping it to yourself will not make it happen and it will not make you believe it is important to you. Tell your friends or loved ones what you’re doing, make it real, and elicit their help if you can. For example, find a morning running buddy. Join a walking group with friend. Start a recipe swap with a family member and try a new meal together each week. The hardest part of self-care habits is keeping them going. If you see it as a healthy challenge rather than a task or a threat it is almost fun figuring out how you can make self-care work for you!! Come join our network of self-care warriors :) Follow us on Instagram @connectepsychology for your daily connect to self-care. Jodie Richardson is a clinical psychologist in Westmount, Montreal, Quebec, at Connecte Montreal Psychology Group. The team at Connecte loves writing about ways to boost our mental health and bring psychology into our everyday lives. For more helpful tips, check out Connecte’s blogs, podcast, follow @connectepsychology on Instagram or @ConnecteMTL on Twitter, or like us on Facebook. 1. Borrowing this term from Tim Ferriss and The 4 Hour Workweek. 2. Great book by Charles Duhigg, The Power of Habit: Why we do what we do in life and business. 3. Read more about Professor Katherine Milkman’s research on temptation bundling here. Listen to Professor Katherine Milkman talk about temptation bundling (among other behavioural tools) in this Freakonomics episode, When willpower isn’t enough. 4. Gollwitzer, P.M. (1999). Implementation Plans: Strong Effects of Simple Plans. American Psychologist, 54 (7), 493-503.